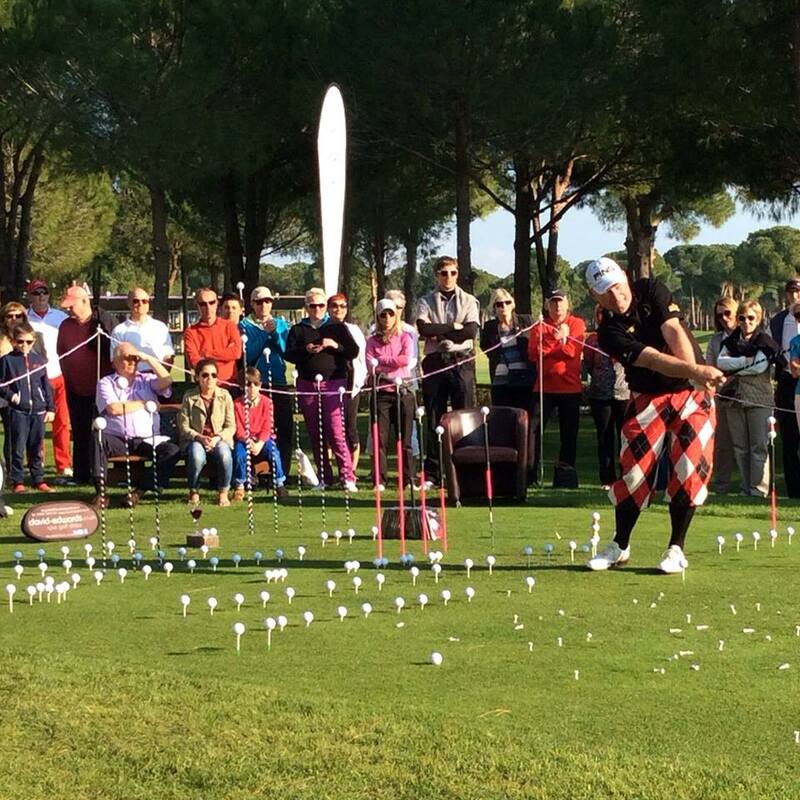 David Edwards inspired his spectators with his renowned golf trick show again this year. After his ten year professional golfing career the British performer gained fame with his golf acrobatics all over the world – from France and Tunisia to Turkey, Dubai and China. The trick golfer is world record holder with his so-called “scissor-hand”-tee offs – 310 balls in just three minutes is hard to beat. One of his best tricks is teeing off the ball from a golf tee, placed in the mouth of a spectator, who lies on the ground. David Edwards uses exceptional tools, such as a claw hammer or a hosepipe. His skill, timing and his intuition are one-of-a-kind. David Edwards arranges his shows at Gloria already for the fifth time in a row. He started showing his golf tricks at Gloria Hotels & Resorts at the KPMG Golf Forum in 2010.